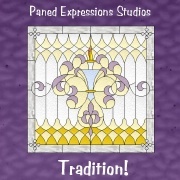 Thank you for visiting Paned Expressions Stained Glass Studios' Website. 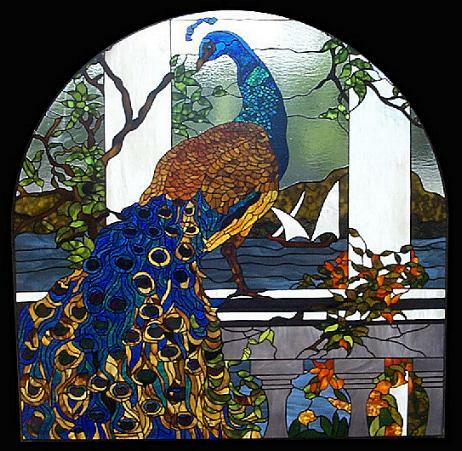 Make sure to visit our stained glass gallery and stained glass pattern design services during your stay. 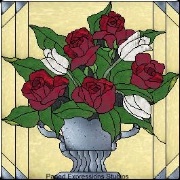 The Custom Glass Service offers you the opportunity to have a stained or etched glass creation designed and created especially for you. Each Custom Glass window is created to your unique specifications. Full Size Patterns on CD for both PC and MacIntosh Computers!Over 2000 full size patterns, in 23 different collections (.jpg, .tif, & .eye formats) for easy resizing and recoloring. Visit our Pattern Catalogue to view all the patterns in these collections. 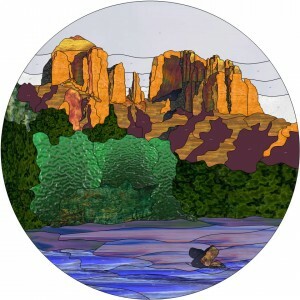 Do you need a stained glass pattern of a favorite photo, sketch, or idea? Just fill out our custom pattern quote request and we'll let you know what's involved. 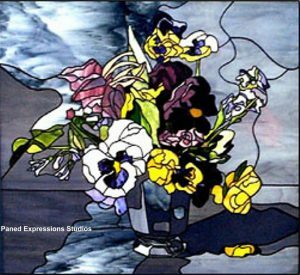 Visit our Custom Pattern Service page to find out in detail how Paned Expressions will support you in creating the exact piece you've been dreaming of. New to our website, we are now offering special individual patterns for sale in three common formats (EYE, JPG, PDF).We will be adding new patterns frequently, so please come back to check out this new feature often.